Carcassonne, France. 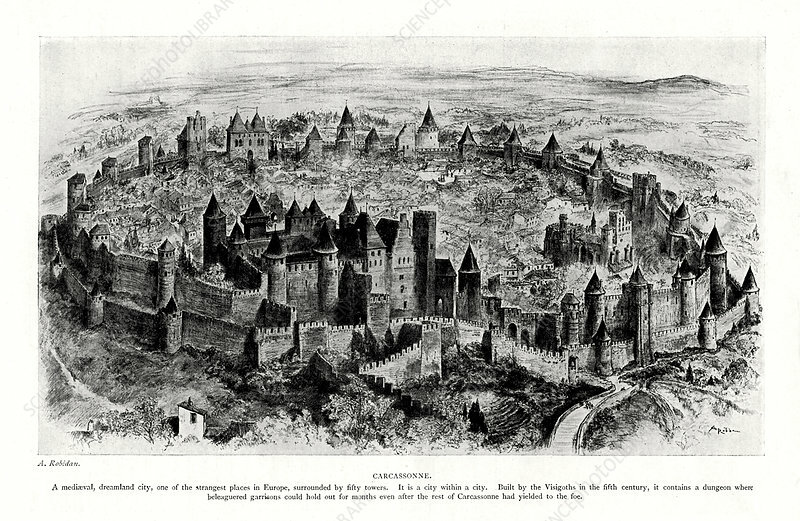 The medieval walled city surrounded by fifty towers was originally built by Visigoths in the 5th century. Artist: A Robidan.